Andrew Jessop is an actor, director, and writer in Chicago. Born and raised in Louisville, Kentucky, he studied acting at the University of Kentucky and went on to join the Acting Apprentice Company at Actors Theatre of Louisville. 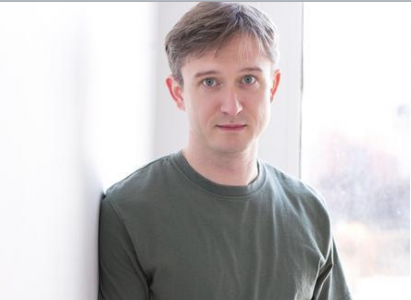 After moving to Chicago, Andrew worked regularly with Redtwist Theatre, where he performed in roles such as Katurian in PILLOWMAN and Jeff in LOBBY HERO, both of which he received a Jeff Nomination for Best Actor. He also directed MAN FROM NEBRASKA with Redtwist, which went on to win the Jeff award for Best Production. Other notable acting credits have included ELLING, (Redtwist Theatre), UNCLE SAM (Actors Theatre of Louisville), BRAVE NO WORLD (Kennedy Center), THE SUN KING (Elements Contemporary Ballet), and most recently in MR. BURNS: A POST ELECTRIC PLAY (Theater Wit).